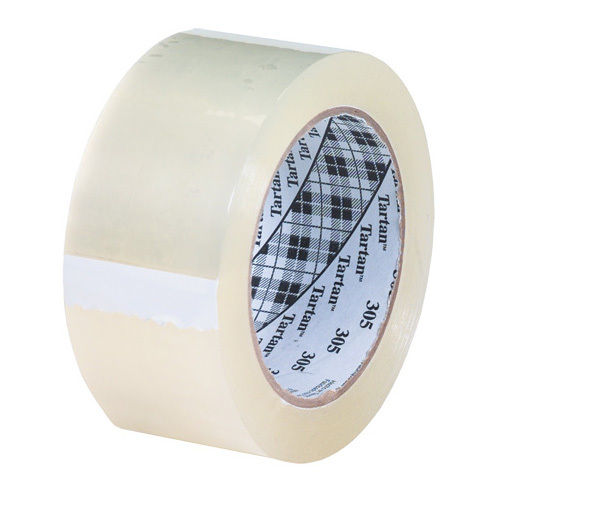 Tartan™ Box Sealing Tape 305 is a clear polypropylene box sealing tape with an acrylic adhesive. A value performance box sealing tape with a strong backing and an aggressive adhesive that provides a secure and durable closure. A box sealing tape that can be custom printed to provide security and/or branding. A carton sealing tape that provides high quality, consistent performance with easy unwind.